I celebrated my 50th birthday earlier this year, so I haven’t been able to avoid noticing other events and people that share my half-century. Fifty years ago England won the football World Cup and Barbados won independence; the first credit card was introduced by Barclays; Jim Callaghan announced that the pound would soon be decimalised; and the BBC docu-drama Cathy Come Home put the problem of homelessness on the map. The Cabinet Office secretariat is much younger, marking its first century this very year. It was created by the then Prime Minister Lloyd George, who was frustrated that Cabinet decisions were not being implemented properly. He set up a new system to take proper records and chase actions. My own department, Communities and Local Government, has its origins in the mid-19th century, when the Local Government Board was spun out of the Home Office (as so many government departments were). With the help of our brilliant records team in Hastings, we have been exploring our history in the past year. Like every department, our backstory contains a mix of successes to learn from and – shall we say – lessons we mustn’t forget. As it has always done, our Local Government Finance directorate attracts some of Whitehall’s brightest and most committed staff. Nevertheless, the history of the poll tax is required reading for anyone trying to reform business rates or council tax today. On a lighter note, I was delighted to learn that we used to have a staff magazine called TSM – short for The Staff Magazine. Would this happen anywhere other than in the Civil Service? 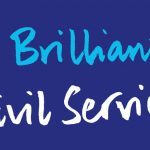 So I would encourage every Civil Service team to explore its history – what was the Government doing on your patch 20, 50 or 100 years ago? I expect our predecessors would be baffled by some of what we get up to these days. But I hope they’d also be proud that their work isn’t forgotten, and above all that their values are still alive and well. Follow Melanie Dawes on Twitter: @dawes_melanie. I recently watched some episodes of a TV documentary series from the late 60s and early 70s called Man Alive. 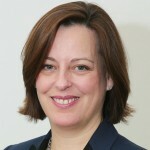 As I currently work for DWP, I was amazed to see a couple fighting (and losing) a legal case with the Department because, whilst the couple wanted the husband to be designated as the main carer of their young children and the wife to be designated as the jobseeker, the Department had decided that the husband should be the designated jobseeker. As I watched this couple take their case to a tribunal, I almost took it for granted that they would win. But, no, they lost their appeal! I suppose we have to remember not to take our current values for granted and realise that we have definitely come a long way (although not always far enough) on things such as women's rights. If Melanie Dawes thinks Rabbie Burns would find it easier to deal with HMRC than he did to fill in HM Excise' 18th century forms, she hasn't tried to communicate with HMRC lately. Maybe that has to do with the 50,000 staff cuts made in the last decade and the consequent loss of skills and expertise including IT skills. I often wondered as a civil servant (now long retired) how our senior managers and politicians managed to stay so firmly separated from peoples' and business' realities in their Westminster bubble. Never has that been so exposed as now when there is no longer anyone in the Civil Service or its numerous agencies with the expertise to negotiate tariffs, or with the EU generally. I was in HM Customs and Excise during the 1969 -73 negotiations for EEC entry and many developed those skills to an enormously successful extent then. HMC&E no longer exists, having been anschlussed in the noughties by the Revenue who decided that the HMC&E taxes and therefore knowledge and skills are low level and unimportant. Yet HMG continues to boast about falling civil service numbers. By your logic when there are no civil servants left then we will have the best administration in the world. Oh Brave New World.